This beautifully built Frank Batson home offers an open layout with a split-foyer plan. Conveniently located just minutes from schools, restaurants, Opry Mills, Providence, Nashville International Airport, the Greenway, I-40 and RTA Train Station. 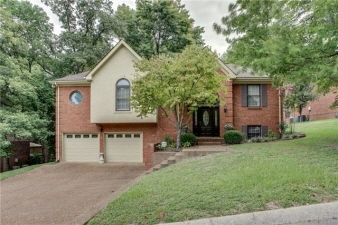 Gorgeous hardwoods, fireplace, granite countertops, stainless appliances, large deck and mature, tree-lined yard with privacy fence.